Kurento Media Server 6.10 is seeing the light with some important news! To install it: Installation Guide. Preliminary support for Ubuntu 18.04 LTS (Bionic Beaver) has landed in Kurento, and all the CI machinery is already prepared to compile and generate Debian packages into a new repository. None of the extra modules have been ported yet; i.e. the example plugins that are provided for demonstration purposes, such as kms-chroma, kms-crowddetector, kms-platedetector, kms-pointerdetector. OpenCV plugins in Kurento still uses the old C API. This still worked out fine in Ubuntu 16.04, but it doesn’t any more in 18.04 for plugins that use external training resouces, such as the HAAR filters. Plugins that need to load external OpenCV training data files won’t work. For now, the only plugin affected by this limitation in KMS seems to be facedetector because it won’t be able to load the newer training data sets provided by OpenCV 3.2.0 on Ubuntu 18.04. Consequently, other plugins that depend on this one, such as the faceoverlay filter and its FaceOverlayFilter API, won’t work either. Not much time has been invested in these two plugins, given that they are just simple demonstrations and no production application should be built upon them. Possibly the only way to solve this problem would be to re-write these plugins from scratch, using OpenCV’s newer C++ API, which has support for the newer training data files provided in recent versions of OpenCV. This issue probably affects others of the extra modules mentioned earlier. Those haven’t even started to be ported. Google is moving forward the security of WebRTC world by dropping support for the old DTLS 1.0 protocol. Starting from Chrome 74, DTLS 1.2 will be required for all WebRTC connections, and all endpoints that want to keep compatibility must be updated to use this version of the protocol. Our current target operating system, Ubuntu 16.04 (Xenial), provides the library OpenSSL version 1.0.2g, which already offers support for DTLS 1.2 . So, the only change that was needed to bring Kurento up to date in compatibility with Chrome was to actually make use of this newer version of the DTLS protocol. Our resources are pretty limited here and the simpler is our CI pipeline, and the less work we need to dedicate making sure KMS works as expected in all Operating Systems, the best effort we’ll be able to make improving the stability and features of the server. Our old friend Ubuntu 14.04 LTS (Trusty Tahr) is reaching its deprecation and End Of Life date in April 2019 (source: https://wiki.ubuntu.com/Releases) so this seems like the best time to drop support for this version of Ubuntu. Canonical is not the only one setting an end to Trusty with their lifecycle schedules; Google is also doing so because by requiring DTLS 1.2 support for WebRTC connections, Trusty is left out of the game, given that it only provides OpenSSL 1.0.1f which doesn’t support DTLS 1.2 . Moving on to Ubuntu 18.04 and dropping support of Ubuntu 14.04 are efforts which pave the road for a longer-term target of dropping custom-built tools and libraries, while standarizing the dependencies that are used in the Kurento project. Using standard tools to create Ubuntu packages. We’re dropping the custom compile_project.py tool and instead will be pushing the use of git-buildpackage. Our newer kurento-buildpackage.sh uses git-buildpackage for the actual creation of Debian packages from Git repositories. Dropping as many forks as possible.  As shown in Code repositories, Kurento uses a good number of forked libraries that are packaged and distributed as part of the usual releases, via the Kurento package repositories. Keeping all these forks alive is a tedious task, very error-prone most of the times. Some are definitely needed, such as openh264 or usrsctp because those are not distributed by Ubuntu itself so we need to do it. Lastly, the big elephant in the room is all the GStreamer forks, which are stuck in an old version of GStreamer (1.8) and would probably benefit hugely from moving to newer releases. We hope that moving to Ubuntu 18.04 can ease the transition from our forks of each library to the officially provided versions. Ultimately, a big purpose we’re striving for is to have Kurento packages included among the official ones in Ubuntu, although that seems like a bit far away for now. Codec transcoding is always a controversial feature, because it is needed for some cases which cannot be resolved in any other way, but it is undesired because it will consume a lot of CPU power. All debug log messages related to transcoding have been reviewed to make them as clear as possible, and the section Troubleshooting Issues has been updated accordingly. in your daemon settings file, /etc/default/kurento-media-server. These messages can help understand what codec settings are being received by Kurento (“Upstream provided caps”) and what is being expected at the other side by the stream receiver (“Downstream wanted caps”). It’s now possible, thanks to a user contribution, to configure the RecorderEndpoint to use the Matroska multimedia container (MKV), using the H.264 codec for video. This has big implications for the robustness of the recording, because with the MP4 container format it was possible to lose the whole file if the recorder process crashed for any reason. MP4 stores its metadata only at the end of the file, so if the file gets truncated it means that it won’t be playable. Matroska improves the situation here, and a truncated file will still be readable. For more information about the issues of the MP4 container, have a look a then new knowledge section: H.264 video codec. And it worked fine. The Boost JSON parser would ignore all lines starting with //, disregarding them as comments. Whenever you want to comment out some line in a JSON settings file, just append the // characters to the beginning of the field name. If you are developing Kurento, you’ll probably benefit from running AddressSanitizer, ThreadSanitizer, and other related tools that help finding memory, threading, and other kinds of bugs. kms-cmake-utils includes now the arsenm/sanitizers-cmake tool in order to integrate the CMake build system with the mentioned compiler utilities. You’ll also find some useful suppressions for these tools in the kms-omni-build dir. Similarly, if you want to run KMS under Valgrind, kms-omni-build contains some utility scripts that can prove to be very handy. A great community is a key part of what makes any open source project special. From bug fixes, patches, and features, to those that help new users in the forum / mailing list and GitHub issues, we’d like to say: Thanks! Add API support for MKV profile for recordings Kurento/kms-core#14, Kurento/kms-elements#13. Fixed config-interval prop type checking in basertpendpoint and rtppaytreebin Kurento/kms-core#15 and @leetal (Alexander Widerberg) for reporting #321.
rtph26depay: Don’t handle NALs inside STAP units twice (cherry-picked from upstream) Kurento/gst-plugins-good#2. @tioperez (Luis Alfredo Perez Medina) for reporting #349 and sharing his results with RTSP and Docker. (1, 2) DTLS 1.2 was added in OpenSSL 1.0.2: Major changes between OpenSSL 1.0.1l and OpenSSL 1.0.2 [22 Jan 2015].